In ‘Around The Table,’ we highlight member news and share information on industry trends. This week, we spotlight recent news from Avista, The Everett Clinic, and the Seattle Mariners. The Edison Electric Institute (EEI) presented Avista with the association’s “Emergency Recovery Award” for its outstanding power restoration efforts after a severe wind storm impacted the Inland Northwest in November 2015. 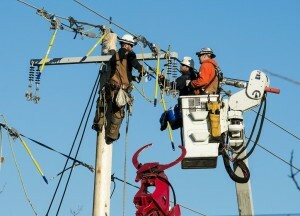 The award is presented twice annually to EEI member companies to recognize extraordinary efforts to restore power after service disruptions caused by severe weather conditions or other natural events. Read more here. 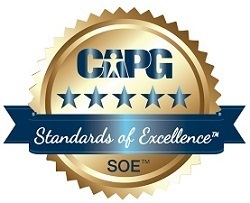 The Everett Clinic earned a Standards of Excellence Elite Award from CAPG, the nation’s leading organization for physician groups practicing coordinated care. The clinic surpassed rigorous benchmarks in: Care Management, Information Technology, Accountability/Transparency, Patient-Centered Care, and Group Support for Primary Care. Read more here. 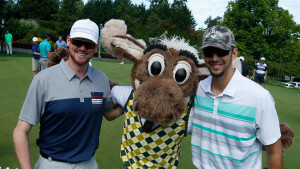 On June 27, the Seattle Mariners raised an estimated $205,000 through the team’s 31st annual Cystic Fibrosis Mariners Care Golf Tournament at Broadmoor Golf Club. The proceeds will go towards finding a cure for cystic fibrosis, a fatal disease afflicting children and young adults. The event, held annually since 1986, has raised more than $5.5 million for the Cystic Fibrosis Foundation. To learn more about the event or its mission, click here. Boeing is turning 100 years old this year! Founded in 1916, the Boeing Company has gone from producing a single canvas-and-wood airplane to becoming the world’s largest aerospace company, transforming how we fly over oceans and into the stars. Proud to see @AlaskaAir’s new 737 sporting a Centennial livery. Pleasure to be a part of the @Boeing & @AlaskaAir Family! Russell Wilson announced Alaska Airlines would be donating $100,000 to the Washington State Opportunity Scholarship. CEO Raymond Conner later announced Boeing would match that donation. Thank you for an amazing 100 years, Boeing. We know you’re just getting started. The Washington Roundtable is pleased to announce the addition of two board members: Barbara Hulit, senior vice president of Fortive Corporation and Kevin Mather, president and COO of the Seattle Mariners. Both Hulit and Mather bring years of leadership experience here in Washington state. Their knowledge, expertise and passion will only strengthen the Roundtable board moving forward. Welcome! Barbara Hulit joined Fortive at its inception in 2016, coming from Danaher. At Fortive, she has responsibilities for the Fortive Business System, Fortive’s High Growth Markets, IT and Procurement. Hulit joined Danaher in 2005 as president of the Fluke Corporation. 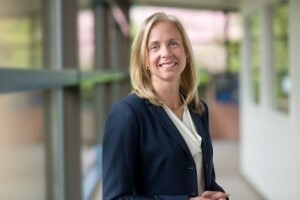 She was appointed a group executive and Danaher corporate officer in July 2008 and led the Danaher Business System and Danaher Labs up until the split from Danaher. Prior to joining Fluke, Hulit was a vice president and director with The Boston Consulting Group (BCG) in Chicago where she focused her work in developing growth strategies and in M&A/ business development. While at BCG, she had responsibility for the Consumer & Retail Practice Area in the Americas, and for the packaged goods sector globally. Prior to joining BCG, Hulit served in sales and marketing roles with Noxell Corporation, PepsiCo, and Marketing Corporation of America. Hulit serves on the boards of the Pacific Science Center and the Kellogg Global Advisory Board for the Kellogg School of Management at Northwestern University. 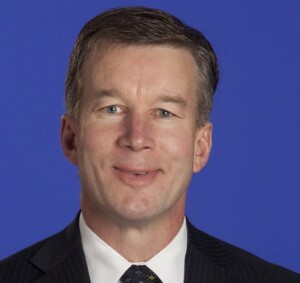 Kevin Mather is the president and COO of the Seattle Mariners. Mather joined the Mariners in 1996 as the vice president of finance and administration. He was promoted to executive vice president of finance and ballpark operations in 1999, where he was responsible for oversight of the Mariners’ accounting and financial reporting, ticket services, procurement, technology services, concessions, and day-to-day operations of Safeco Field. He also oversaw the Mariners’ five retail locations, as well as non-baseball events held at the ballpark. During his time with the Mariners, Mather has worked closely with executives and members of the ownership group who serve on key Major League Baseball (MLB) committees and address issues of league-wide concern, including finance and compensation, MLB’s long-term investment fund, and insurance coverages. Prior to joining the Mariners, Mather worked for the Minnesota Twins from 1989-1996, where he served as director and then vice president of finance. Before his career in baseball, Mather was with Deloitte, Haskins & Sells, for four years, and The Bellfonte Company of Minneapolis, for one year. Mather grew up listening to Bob Uecker as a Milwaukee Brewers fan in Madison, Wisconsin. He is a graduate of the University of Wisconsin, where he received a bachelor’s degree in accounting and risk/insurance. He is on the Executive Board of Junior Achievement of Washington, and his hobbies include golf, baseball, the Green Bay Packers, and his family and two dogs. He and his wife, Shannon, live in Issaquah with their three sons. Learn more about Mather and his path to club president of the Mariners here. In ‘Around The Table,’ we highlight the good work our members are doing in communities throughout the state as well as industry trends and key milestones. If you wish to showcase the work of a Roundtable company, please send us any ideas or links. More than 1,000 Seattle-area youth gathered at the Alaska Airlines hangar in SeaTac May 21, to learn about careers in the aviation and aerospace industries. Each year, Aviation Day aims to show youth a path to a rewarding career in the aviation field by allowing them to interact with industry professionals. Read more. Boeing employees joined with community leaders from across the region to celebrate the grand opening of its new 777X Composite Wing Center at the Everett campus. The facility will manufacture the world’s largest composite wings for the 777X, the company’s newest commercial jetliner and sustain thousands of local jobs for decades to come. Read more. In a Q&A with the Puget Sound Business Journal, Paccar CEO Ron Armstrong discusses the Bellevue truck maker’s push to the cutting edge. “As the company’s customers become more energy conscious and push for fuel-efficient trucks, Paccar has responded with new technology and connected-truck systems for monitoring fleets and individual trucks. The company posted a $1.6 billion profit last year on revenue of $19.2 billion.” Read more. Gates Foundation CEO Sue Desmond-Hellman explains the lessons learned in U.S. Education. “For too many students today, the bridge to a prosperous and fulfilling life is obstructed and uncertain. In 2015, the ACT Condition of Career and College Readiness study revealed that only 40 percent of students met three of the four college-readiness standards across English, reading, math, and science. And performance was much lower for students of color.” Read more.